Greetings from your webmaster, Joseph Carro, and welcome to the website of the family of Louis Otto and Ida Rose Carro. Changes were made to the Event List. Be sure to look at the tribute to Ida Rose Carro, NEW additions to HISTORICAL PHOTOGRAPHS, and the new page : Carro Family Arts where artistic contributions from family members will be posted. A new page with photographs taken by Louis O. Carro during the Second World War has been added. To view that page click here. 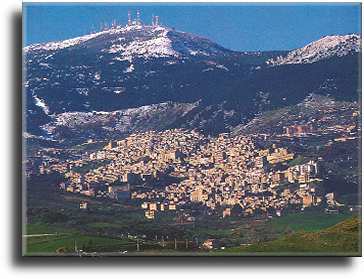 The town of Cammarata is located inland in Sicily, and is the birthplace of the Cammarata family, of which Martino Camarata was a part. His father moved to Valguarnera, which is about 70 miles from Cammarata. The name Cammarata was derived from the greek word kàmara which means a vaulted room; in modern Italian, càmera means a bedroom. The town has ruins of the Byzantine occupation, which lasted from 550-850AD. Its current population is about 6500 people. 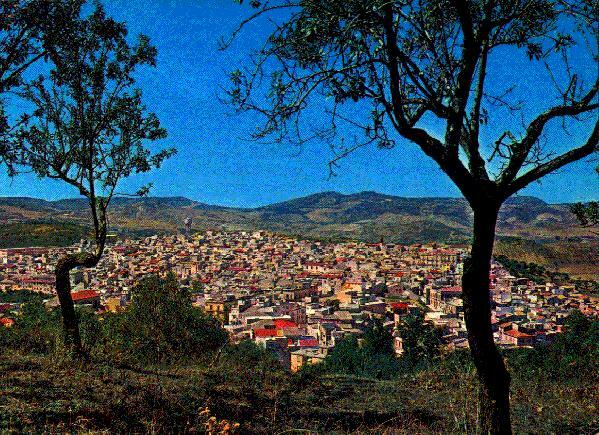 In this picture, Cammarata is to the left, and the adjoining town is San Giovanni. Because the two towns are similar in size and shape they are called i gemelli, the twins. This picture shows the main road leading into Cammarata. The green building is visible in the upper photograph. To see the larger picture, click on the small picture with the border. 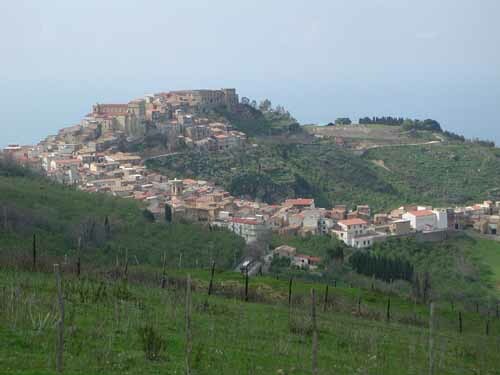 Our paternal grandfather, Joseph Carro, was born in the small town of Motta d'Affermo, which is located on the north coast of Sicily. His parents were Giuseppe Carro and Marianna Cuva. He was born in 1891. The last name of Carro is the most common last name in the town. 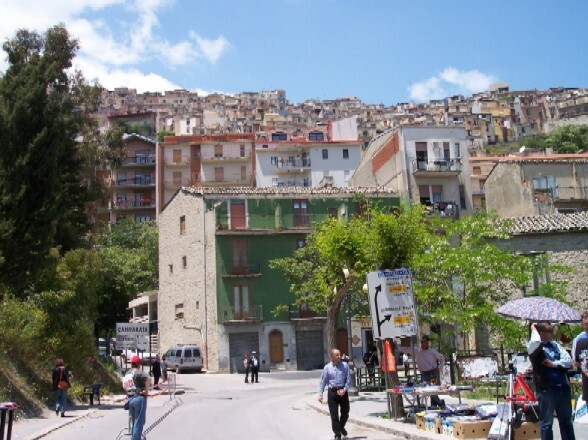 The word Motta is of Phonecian origin, and meant fortress, the remnant of which can be seen at the top of the hill in the picture. The original name of the town was Motta di Sparto. In the fifteenth century, the land was purchased by Muzio d'Affermo, and he renamed the town to Motta d'Affermo. The town currently has about 1,100 inhabitants. This photograph was taken from the old fortress towards the town. The third picture is of Valguarnera, where our maternal grandparents, Martino and Antonina Camarata, and three of their children, Maria, Caterina, and Giuseppe were born. Their other five children Gaetano, Frank, Peter, Ida, and Eugene were born in Rochester, New York. 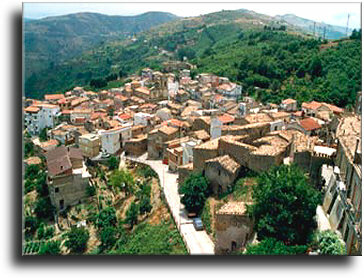 Valguarnera is located in the center of Sicily, and has about 9,000 inhabitants. Its full name is Valguarnera Caropepe. If you want to learn about Italian, click here. To view a map of Sicily, click here.